Ohhhh, November! 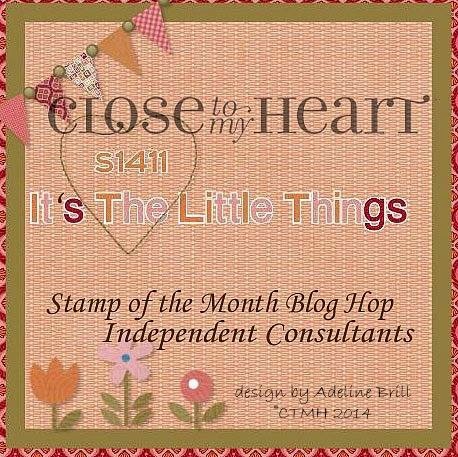 Time for another Stamp-of-the-Month Blog Hop! If you're hopping along, you just came from Priscilla's Blog. These hops are always so fun to see what everyone's put together. Do you ever look at your scrap bag/box/pile and think, "oh my, what am I going to do with those?" 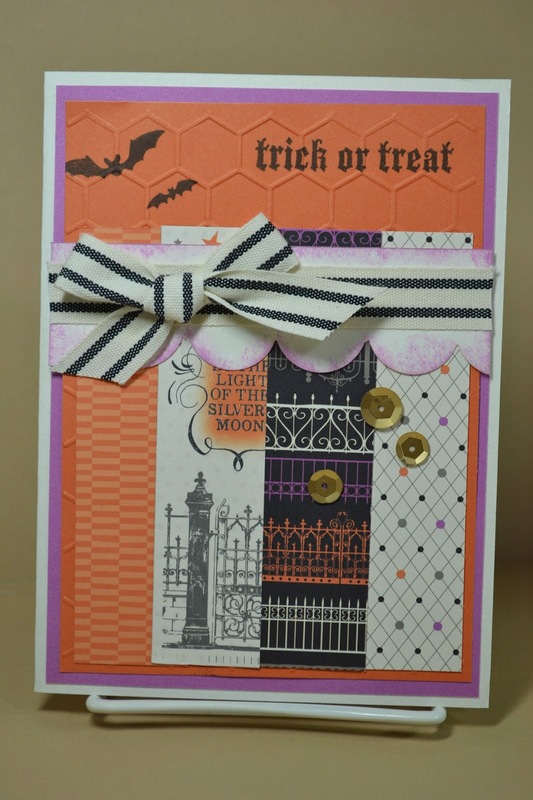 Well, it was time for me to make some room in the scrap bin as it was starting to get full again SO when I saw this card sketch on SB.Com for October, I knew it was perfect for my goal to use some scraps. 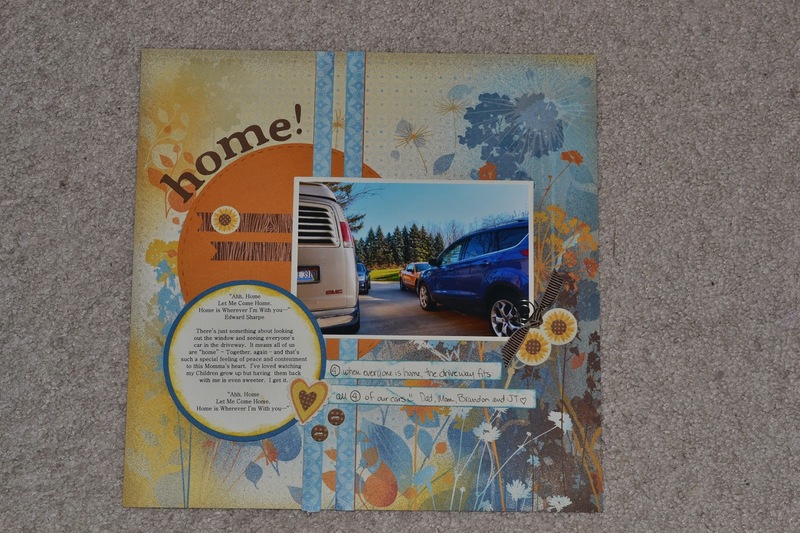 Unfortunately, the scraps I had available, look more like a Spring Card than Fall, LOL! But I loved all the fun banners. 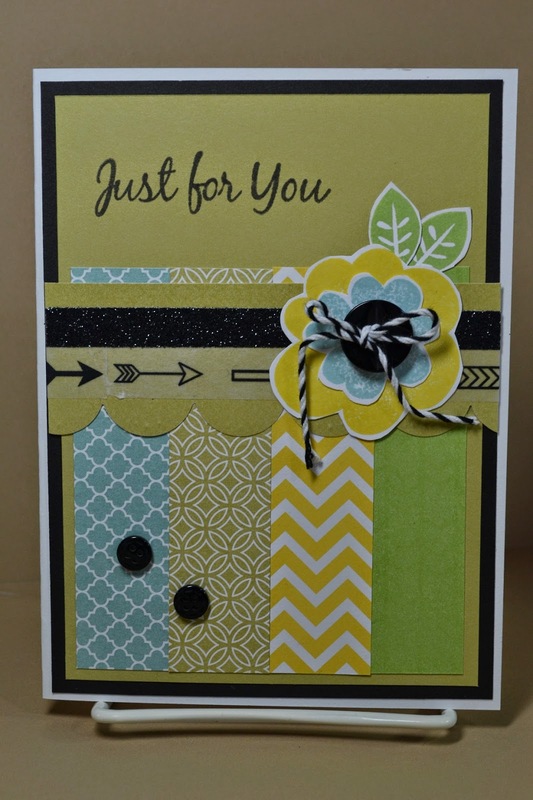 I really liked the "just for you" stamp in the set though so I made a 2nd card using that also. This sketch is from MOJO Monday #367. 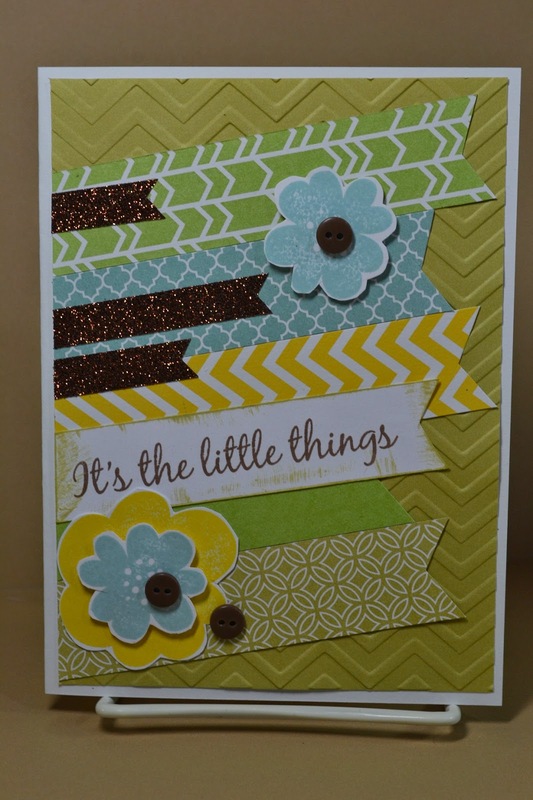 Another great card sketch for using scraps. I hope to get some Fall cards made soon with these fun stamps as there are so many possibilities! I'm sure you'll see lots more fun ideas as you hop along. Your next stop is Michelle! If you get lost along the way, HERE is the list of all the hoppers! Enjoy! for crafting time! Woohoo! 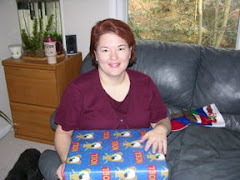 It's Friday and it's time for another Color My Heart Color Dare #117. This week, we're celebrating the Color ORANGE. So pick your favorite shades of orange and craft along with us. 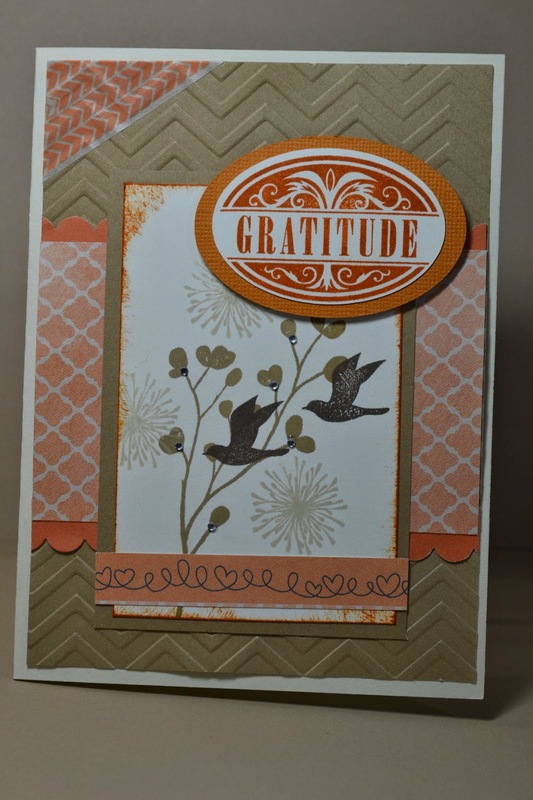 I used the MOJO Monday #368 card sketch and CTMH Sunset and Autumn Terracotta for my color orange. I hope you have a Spook-tacular Halloween! oh yeah, Happy Friday! It's time once again for another GREAT Color My Heart Color Dare #115 - Outdoor Denim, Sunset, and Olive. As I dug through my stash, I found some older scraps with just the perfect colors. Of course, I had to go look what the paper is called. I also found some fun brads and an eyelet. It was perfect for this week's Retro Sketch #136. This weekend we were able to enjoy some lovely Fall Foliage with a fun Fall Festival held here in our community. Each year at this time they sponsor different spots in the country to get out and see. It was 65 and sunny and the day was wonderful. I even had time to use some scraps on my desk to finish up a few cards that went along with how I was feeling! 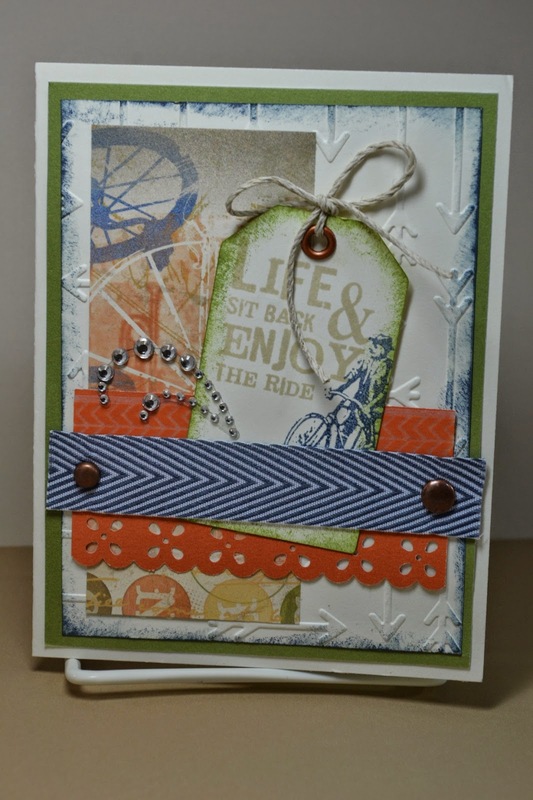 Using scraps, stamping and enjoying Fall colors ... wow! What a fun combination. Welcome to this week's Color My Heart Color Dare #114. This week we're using Goldrush, Crystal Blue, Pacifica and Honey. It worked perfectly for this picture I've been wanting so much to scrap. The sentimental meaning of the photo was important for me to get in my Scrapbook. It's always a special moment for this Momma's heart when all of my children are home. It means the driveway is full, LOL! 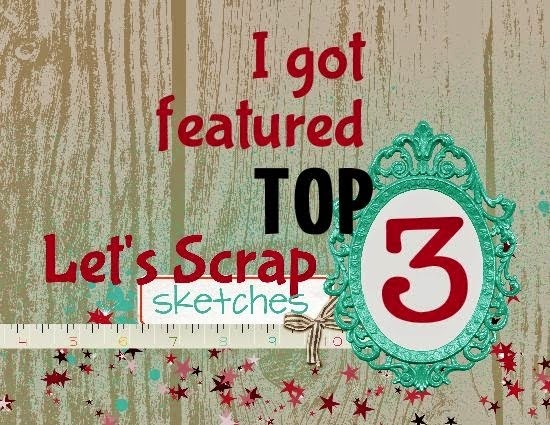 The Sketch is from this month's Friends That Scrap October Sketch and I used all of the items for October's Week #1 Stash Challenge on SCS. 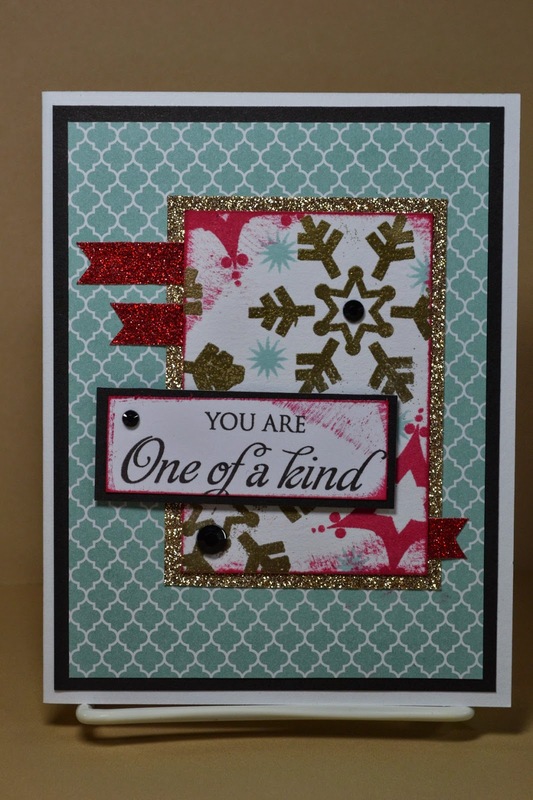 Instead of being bummed about the cold temps coming I decided that I would enjoy staying in this weekend to make cards AND I would participate in OWH challenge to use snowflakes on a non-holiday card. While I enjoy stamping snowflakes, I just do not enjoy dealing with them as weather, LOL. Since I was using the OWH Sketch #240, I decided to play along with the ODBD Challenge on the OWH site which was to use the snowflake stamps. 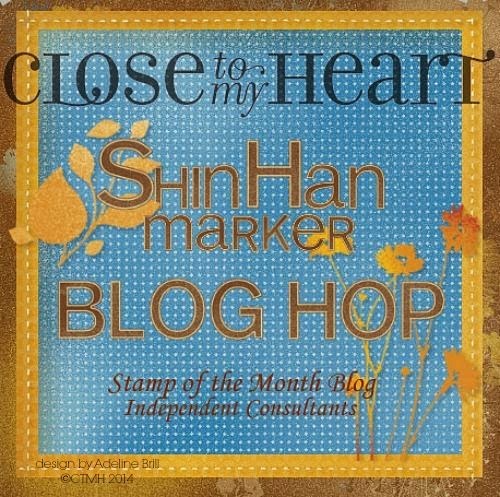 Probably a good challenge for me as I do have several snowflake stamps in my stash. These are some of my faves. I haven't heat embossed in awhile, forgot how much I like how it turns out. 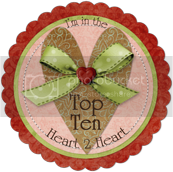 for another FUN Blog Hop! That's right! This month we're showing off all the Fun and Versatility that the new ShinHan Markers can bring to your card making process. If you're hopping along, you came from Donna's great Blog Post. (If you get lost, here's a complete list of the Blog Hop crafters.) How wild is that, we were both thinking Halloween?! Wow, Fall was sure here this weekend with cold rain and dropping temps but the great thing about that is it's easy to stay indoors and stamp/scrap! 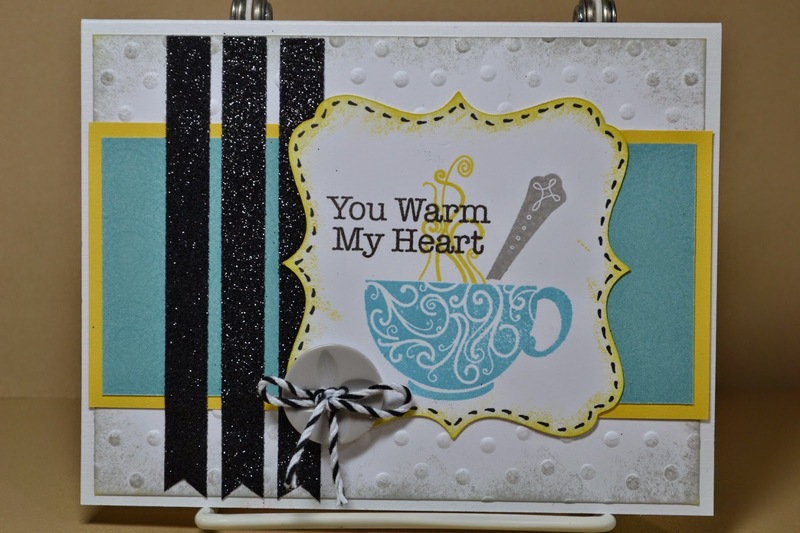 Since Saturday was World Cardmaking Day 2014 it made it even more fun to think of it as a celebration! 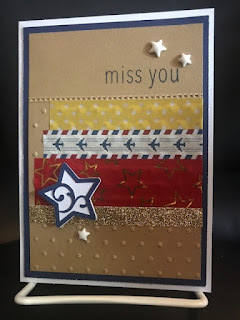 This card was inspired by one of the "Hope You can Cling" Challenges at SCS this month and I made another for the OWH World Cardmaking Day Challenge! The sketch is from Retro Sketches #135 which was to pick one of the sketches from the Archives, I picked #01. I hope you get to stay in and enjoy craftin' time if it's cold and raining where you are! 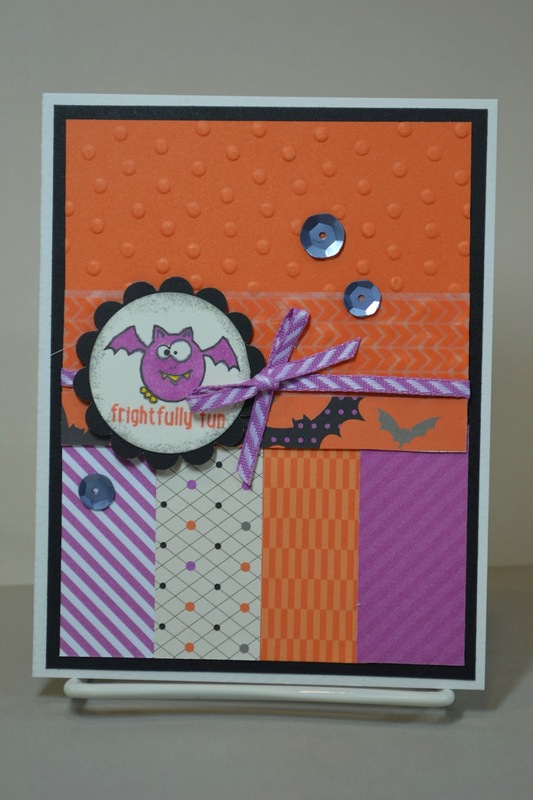 Happy World Cardmaking Day 2014! I had a great time celebrating WCMD ... yup, making cards! I finished several for different challenges and upcoming Blog posts. It's so fun to have some done to show off. This sketch is from Freshly Made Sketches #156. 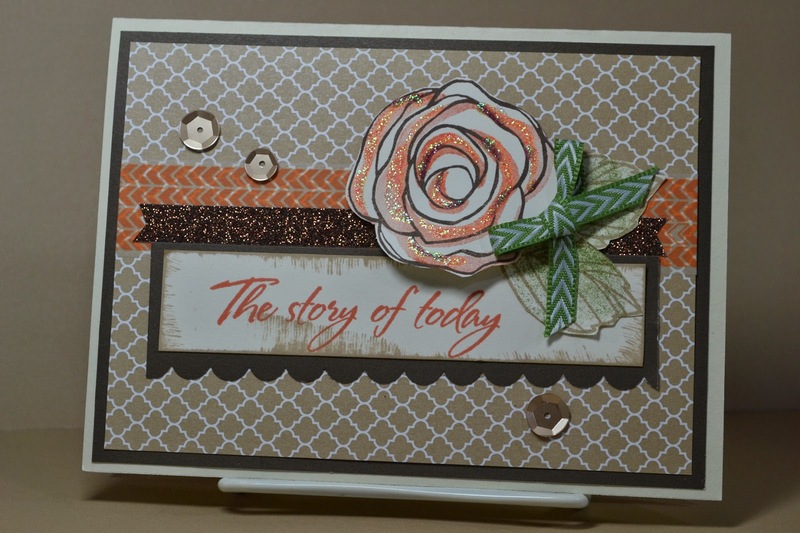 What a fun one to use to get my MOJO started for the day of stamping. It seems once I get going, the cards get easier but it's probably just because I have out all the supplies, LOL! I hope you had a fun time today creating a card or 2 for the celebration. Ahhh... cooler days and chilly nights! It's time for my favorite season of the year - Autumn! Yay! I love the cool, sunny days and the vibrant colors but it also brings rain and more in-door time on the weekends and evenings which lends itself to stamping ... and I have to admit, I like that too! LOL! Welcome to Friday and our Color My Heart Color Dare #113. 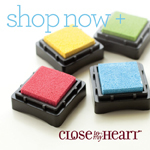 Come and play this week as we use Cranberry, Glacier and Canary. The challenge this week at H2H is Favorite Embellishment and lately mine are the Gold Sequins! The sketch is from MOJO Monday #351. I also used October's CTMH Stamp of the Month - Home for the Holidays. Want to see more fun with these stamps? Check out the blog hop here. Don't forget this month is Ribbon Revelry and you can get a "FREE" roll of the Chevron Ribbon with every $50 CTMH purchase. Wishing you a cooler night or two this weekend for some stamp time!